Punkonomics Video is here: We’re STILL being PLAYED! After a long time off the air with only blogging and social net to vent our outrage and banter, we’ve finally launched ourselves on YouTube! We did what we used to do on the radio/podcasts and chewed on some current ugly fat for over an hour (no station manager to shut us up). 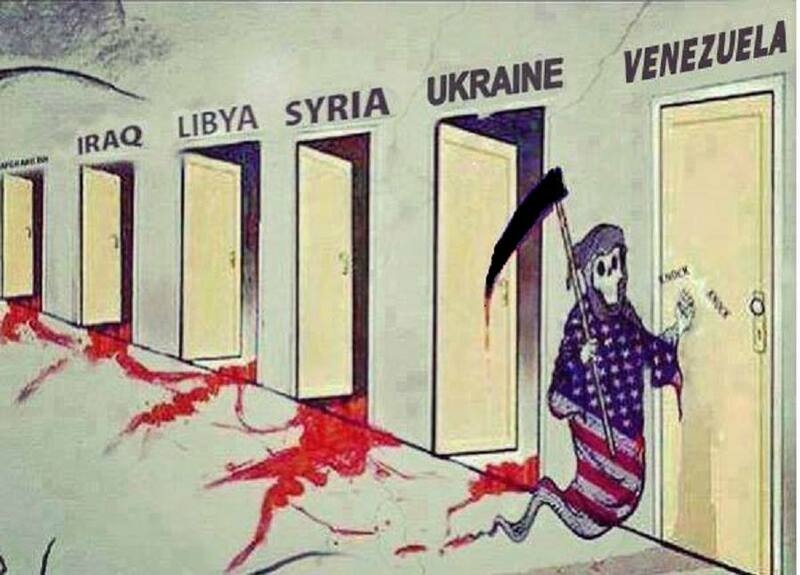 Where does one even start to answer the question everybody is asking: What is going on in Venezuela and Ukraine?!? So in the spirit of punk (and French postmodernism), I’ll just stick a bunch of things together (bricolage). I provide a number of good sources at the bottom for you to get a fuller picture. So is it a bunch of democracy-loving students engaged in non-violent resistance being violently oppressed by totalitarian governments? No it is not. But it is hard to see the big picture without getting into the long history of Venezuela and Ukraine and many other places. Hell, you need to look at the past 500+ years to really get the picture–oh yeah, that is why education is important but a good real-world education is almost impossible to get and requires many years. I’ve been having lots of arguments with relatively rich and some very rich ex-students and their friends from Venezuela and have been trying very hard to be as civil as I can because I’m honestly trying to be open and understanding. Knowing that the Venezuela has eradicated hunger while here in the US 20% of kids are hungry today, it breaks my heart and makes me both sad and angry to hear a Venezuelan blogger complain about not being able to bake a cake due to milk shortages!? The economic problems in Venezuela are also not what they seem but on that later. I guess I’ll get some hate for this but the truth is ugly and complicated. Disclaimer: let’s put Ukraine aside for a moment–I know less about it’s internal politics and will make a special post about it soon. Watch this for now. In attempting to be “fair and balanced” (pun intended), I tried to watch the mainstream media and anti-government Venezuelan rhetoric too to see if perhaps I’m the one being misled… no, it was BS propaganda to anybody aware of the long and medium term facts of economics and politics–sorry. I watched Jehane Noujaim’s documentary The Square (2013) about the revolutionary struggles in Egypt in order to catch the current romantic feel of heroic youth uprisings that seem to motivate all the Web 2.0 gushing about Venezuela and Ukraine. Well the Egyptians really did have a genuine uprising against a US supported dictator by poor and rich, secular, and religious youth and they lost their heroic battle, were successfully played by the military, and crushed with the continued support of the US. In the film, an exiled father of one of the revolutionary tells him: “The rich don’t need freedom. The rich are already free.” Now stop for a second and ask yourself: how does this fit into the “struggle for freedom” in the streets of Caracas these past days? It doesn’t! Why? Because it is entirely orchestrated and run by rich Venezuelans. The majority poor aren’t involved in this at all. A significant minority in Venezuela are critical of their democratically elected government and have been exercising their right of expression and political participation but have not been able to gain power by legal means though Henrique Capriles came close in the previous presidential elections. His moderate minority is also overwhelmingly rich and upper middle-class urban people and he deserves credit for NOT supporting the radical right-wing takeover of the opposition by, most notably Leopoldo Lopez, a billionaire from an old power-family who has been taking violent actions against the Chavez government since the previous CIA backed coup against democracy in 2002. He is and continues to be a rich oligarch thug who deeply resents not being able to rule over his domain like his ancestors before him. Despite his wealth, US support, global financial support, and a sophisticated propaganda machine, he only won the hearts of rich people and it looks like all he accomplished is to break up the legitimate opposition. The violent clashes were rather small and mostly located in their rich neighborhoods and private schools and much of the violence came from Lopez’s followers themselves. Oh yeah, and more innocent civilians are murdered by the government of Colombia (a close ally of the US and Lopez and friends) every week than have died in Venezuela’s riots–double standards? YES Venezuela has some serious economic problems. These are complex issues I’ll try to tackle in a future post but let’s say that at the very least, we should know that over the past decade, Venezuela has accomplished a tremendous feat of poverty-reduction never seen anywhere in recent times. The lives of a vast majority of the poor population have improved dramatically while everywhere else on Earth over the same time, the opposite has happened–even in China. Furthermore, they accomplished this despite aggressively hostile global economic players who have been funding coups and radical groups and even engaging in direct economic sabotage that are, at least in part, responsible for Venezuela’s economic woes. So whatever legitimate problems they have with street violence, food-prices, and inflation, the Bolivarian democratic regimes in South America have been the first good thing to happen to the vast majority of the people there since the European conquest 500+ years ago and would not have been possible without the leadership of the Venezuelan people and Chavismo–something for Venezuelans to be very proud about! People in supposedly free countries not knowing what is being done in their name is not new: Manufacturing Consent: The Political Economy of the Mass Media (1988), by Edward S. Herman and Noam Chomsky should be required reading (here’s a very short intro about their Propaganda Model). BUT I think it has gotten more dominant especially in the current media coverage of Venezuela and Ukraine. Today, there even is a twist within a twist in that people are posting their outrage about how “the media” is not “covering” the situation. They then post blatant propaganda in support of a what is in actuality a well-engineered propaganda campaign by oligarchic elites to undermine democracy (wow! despite my training in postmodern philosophy, my head spins). But it gets crazier! The power-elites (aka the 1%) and the military-financial-complex (more on this soon–check this out) are using the well-meaning non-violent work of liberals such as Gene Sharp to execute their coups. No need to send death squads (trained at School of the Americas in Georgia), or militarily support nasty dictators and juntas (like in Egypt among numerous examples). Today they can use well-meaning naive and propagandized students to spark the process of post-colonial oppression: it’s colonizing version 3.0! Question: ok ok we get it, but what IS going on in the Venezuela? Tell me this doesn’t sound awfully familiar!?! Former interviewee participates in a very balanced discussion about current events in Venezuela. The Stranglehold on Our Politics by Elizabeth Drew | The New York Review of Books. 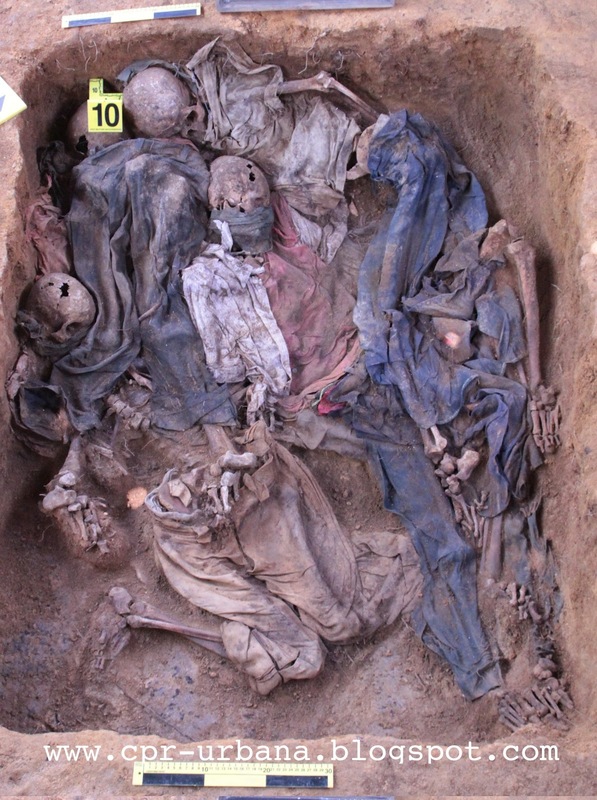 DON’T MISS today’s show with Tatiana Devia: Forensic Anthropologist working on human rights!